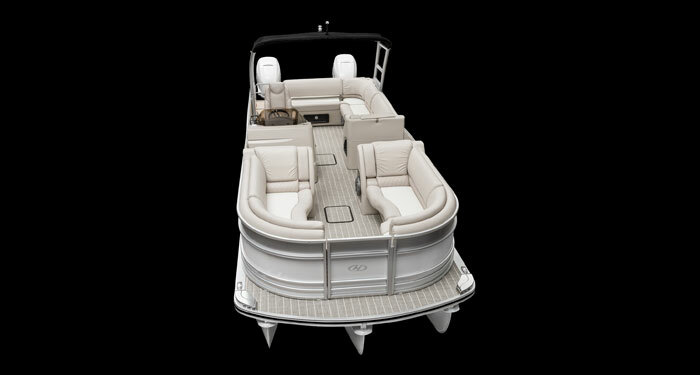 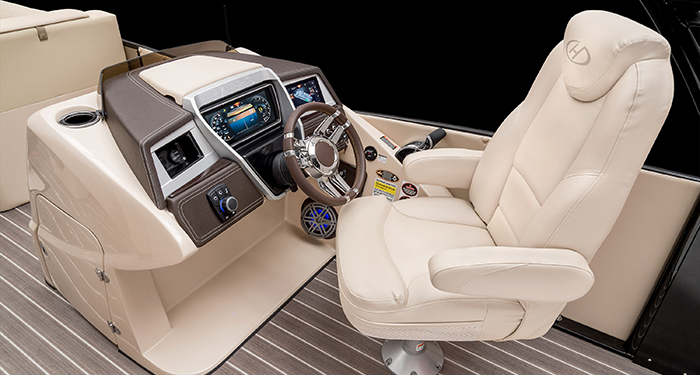 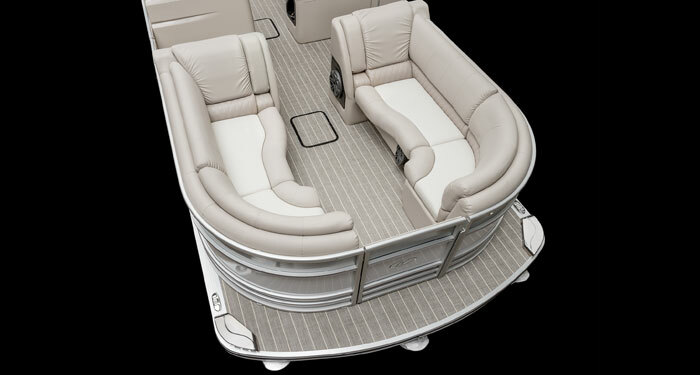 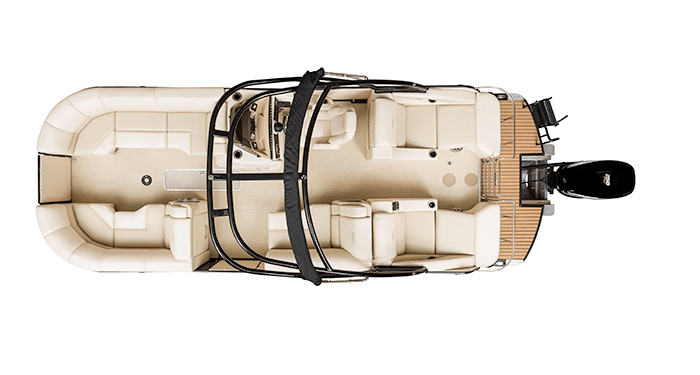 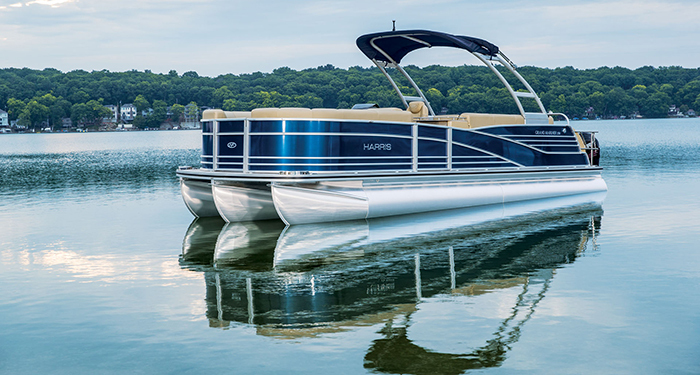 Performance and luxury have finally been rolled into one fun-to-drive pontoon boat the whole family will enjoy. 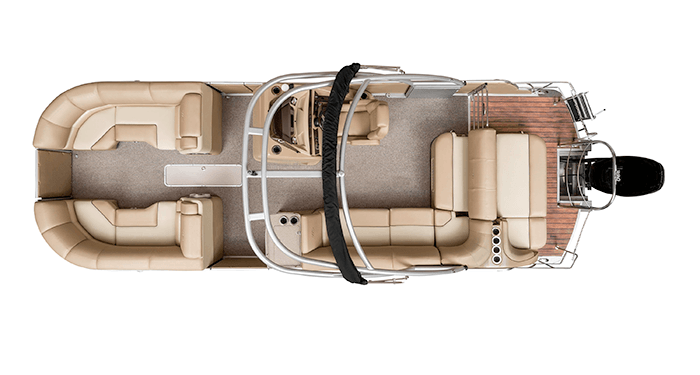 Boasting configurations available with either twin Mercury 300HP or 350HP Verado engines, both available with Joystick Piloting for superb maneuverability, the speed and handling aboard this luxury-class pontoon boat truly astonishes. 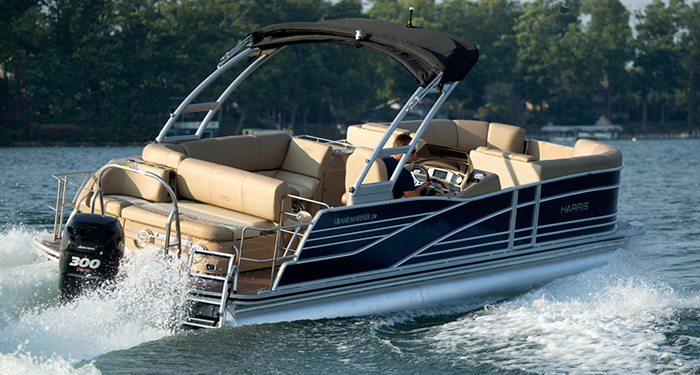 Get ready to experience tight turns with confidence and acceleration you might not have thought possible to achieve in a pontoon boat. 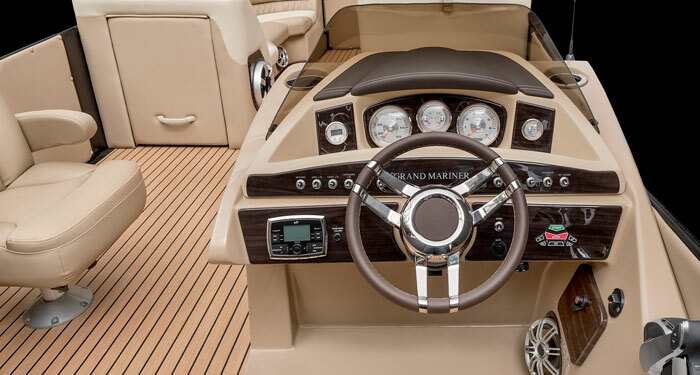 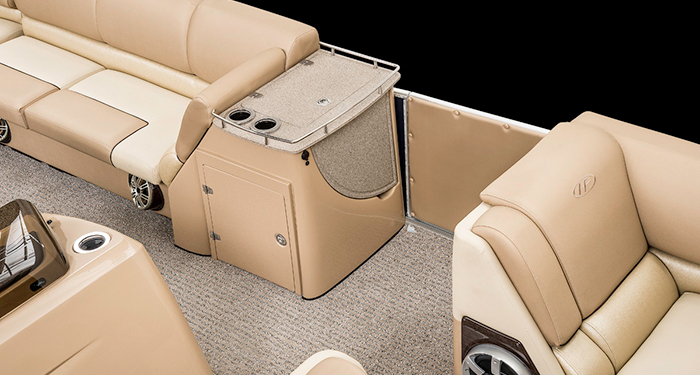 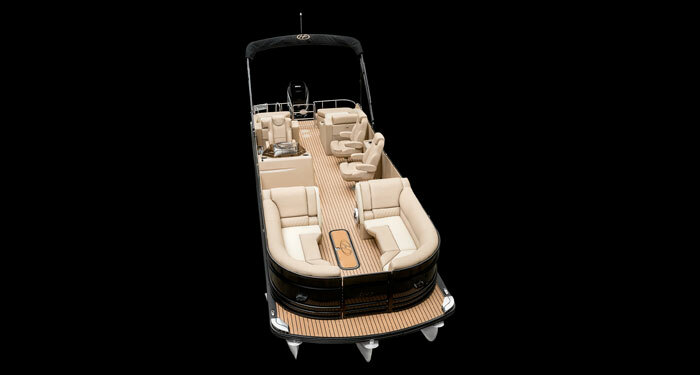 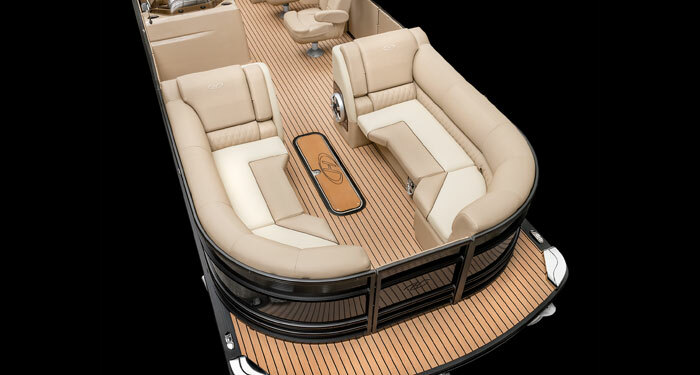 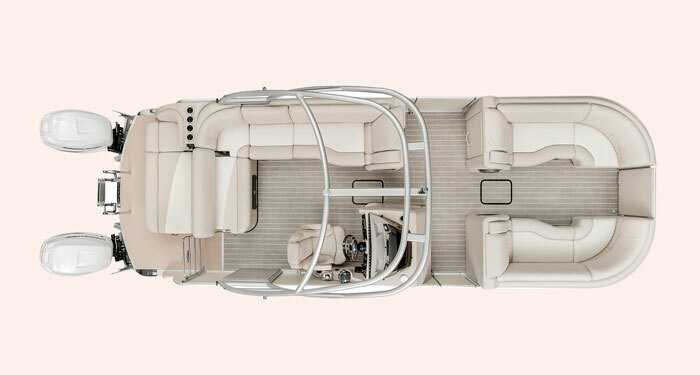 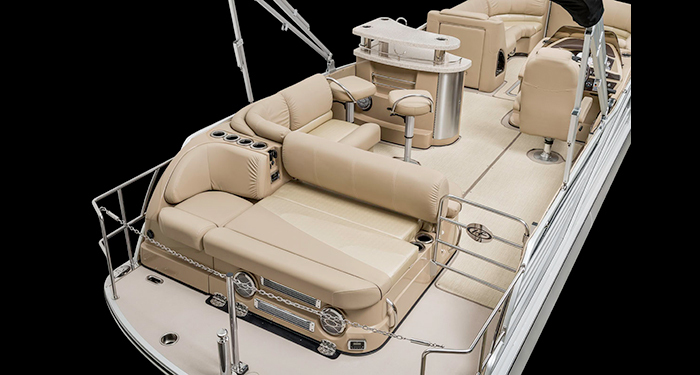 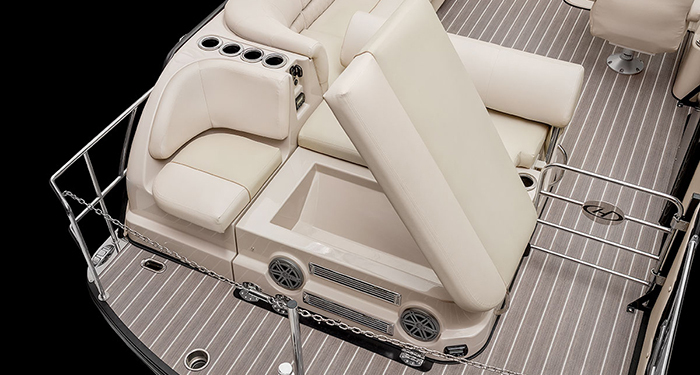 This luxury-class Harris pontoon model is not just about performance, it’s loaded with luxurious features as well. 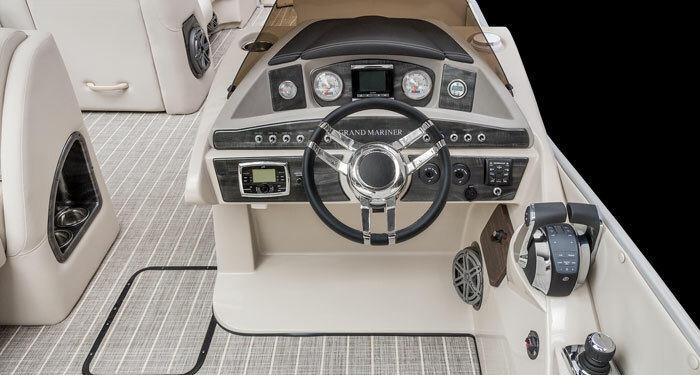 Notable standard features on the Grand Mariner DL 250 Twin Engine include your choice of marine-grade vinyl upholstery colour (desert camel, almond or French gray), Polk stereo with Polk® Ultramarine App connectivity gives you complete control of the stereo from your mobile device, and includes SimradGO5® with VesselView® link to display manoeuvrability engine data.